DIMENSIONS (LxWxH)...... 45" x 25" x 40"
10" Working width will grind approximately 400-500 sq. ft. per hour at 1/16". 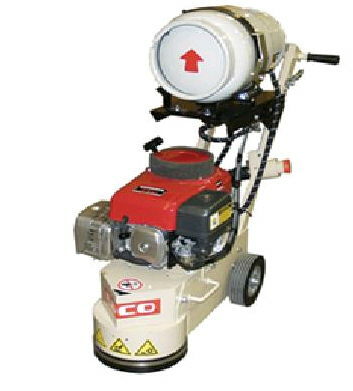 Rounded shroud allows you to grind within 1/2" of any vertical surface and also provides better dust control. Grind wet or dry Includes standard vacuum port. ** Please call us for any questions on our 10 inch turbo grinder rentals in Fairview Heights IL.